Last week I picked up one of LUSH’s fresh face masks. 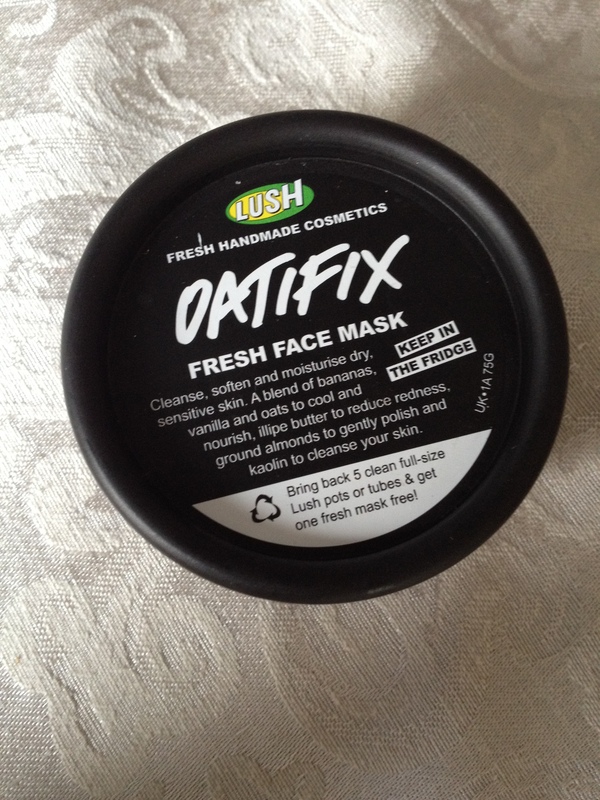 Due to my sensitive skin I opted for Oatifix. It’s £5.95 for 75g and will last you around 3 weeks. As all the ingredients are natural and fresh…hence the name, you need to keep it in the fridge and use it by it’s sell by date! A mask for dry skin. Oatmeal, ground almonds and kaolin bind the ingredients and act as a very gentle scrub to lift dead skin away and leave the face looking brighter. A soft fragrance based on vanilla absolute finishes off this nourishing mask. Initially when I applied this I got the all too familiar skin tingle that usually spells I am not going to get on with a product. This very quickly dampened down however and I managed to leave it on for the recommended 10 minutes. 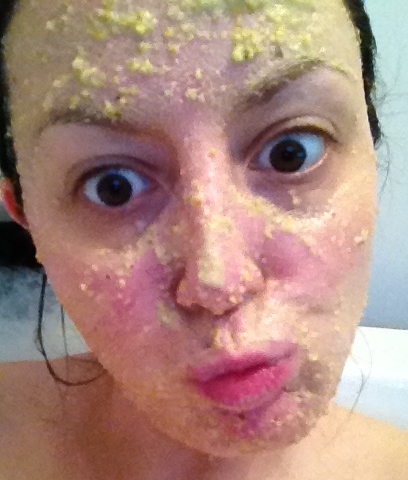 The mask itself is not the nicest smelling or tasting…couldn’t help myself. It goes on easily enough and stays put. There’s nothing worse than a face mask sliding off and dripping everywhere is there? Once it was time to remove it I massaged it in and then rinsed my face with warm water. Again I felt a tingling sensation around the cheeks but again it too dampened down. My skin feels so much softer and supple since using the mask. All the redness has gone and my pores seem to have shrunk! I’ll definitely be repurchasing this face mask, it’s amazing. If you haven’t already pay LUSH a visit and enquire as to which mask will be best for your skin type. The staff are really helpful and really know their stuff! ← Boxing Day Sales…Complete Madness! !